Viruses are thought to cause between 15-20% of cancer cases worldwide. Human papillomavirus (HPV) is a particularly well-known offender that can lead to cervical cancer, the second most frequent cancer in women and third leading cause of cancer death for women worldwide. As part of this effort, Forouzan is working with two top Madison investigators: Dave Beebe, director of the Microtechnology, Medicine and Biology Laboratory, and Paul Ahlquist, Morgridge Institute for Research director of virology. Beebe and his lab, with their biomedical engineering expertise, have pioneered the development of microscale tools for studying tumor microenvironments; the Ahlquist group has expertise in cancer virology and biology, and part of their work is devoted to HPV specifically. Though the first step is to develop the microfluidics tool for research, the project doesn’t end there. Forouzan started his academic career in mechanical engineering, though always knew he wanted to apply his knowledge to biology and medicine. This led him to study biomedical engineering, but his graduate studies still focused primarily on the engineering side of the interdisciplinary field. Forouzan says he is eager to gain more of the biological perspective. 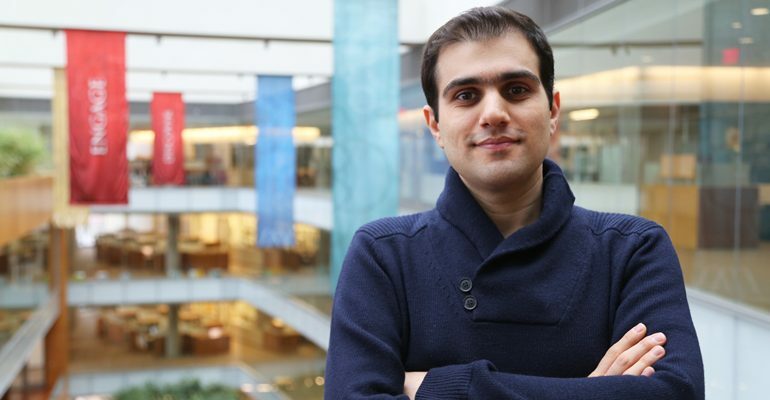 “As a biomedical engineer, I’m always eager to learn and discover how engineering principles can be applied to address real-world biological questions,” Forouzan says.